Calling all Westie collectors! Add to your Westie collection with this richly embroidered Westie dog. 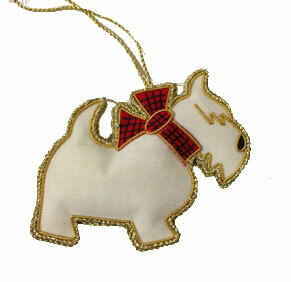 Edged in gold braid with embroidered red & green plaid bow tie, this Westie will look great on your tree. 3.5" x 3" imported.